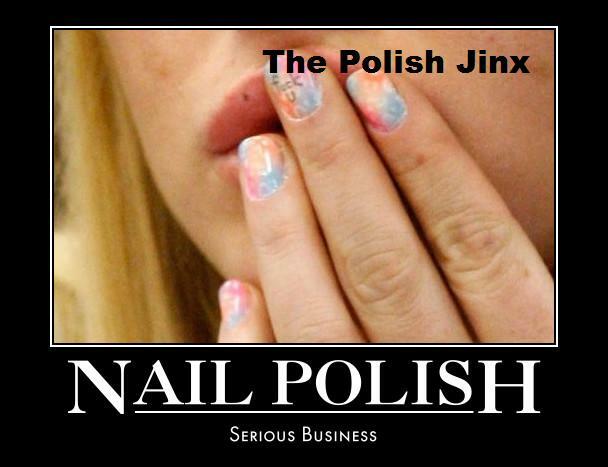 The Polish Jinx: A Smelly Subject! So this might fall under the TMI category, but finding a deodorant that works for me has been a battle since, well.... always. I use the term deodorant but I need both deodorant and anti-perspirant. The two are NOT mutually exclusive. Up until now I have always settled for something that keeps me from smelling but have never found something that keeps me totally dry. I did not realize JUST how many people shared this struggle until my Lavanilla deodorant review a week ago. Now before I go any further, I beg of you. Please dont post or respond with anything about deodorant causing breast cancer. I ask you to go to the National Cancer Institutes website, webMD, Cancer.Org or any other legitimate health care site to assure you those claims are bogus. There has never been ANY conclusive study proving a connection. I can not believe HOW many people believe with certainty medical claims because they saw scary chain mail emails, facebook posts or other such nonsense. But anyways, back to the topic at hand. A long discussion followed on my facebook post about the blog review and the fairly common answer was Certain-Dri (which as it turns out is not available here in Canada). Most “clinical strength” anti-perspirants contain aluminum zirconium trichlorohydrex GLY. Certain Dri contains aluminum chloride instead. 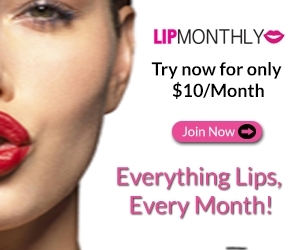 I was told by many who use it that they use it only 2-3 times a week and they NEVER sweat anymore. This freaked me out to be honest. I'm not sure I want something that is so strong it will prevent me from sweating for 3 days even with showering daily. 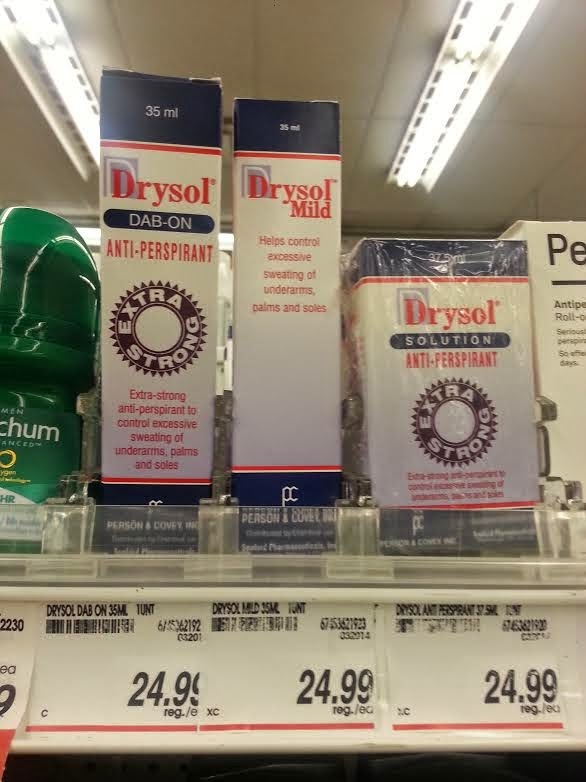 But I spoke to my dermatologist and it seems that it is actually safe to use and she recommended Drysol which is basically our Canadian equivalent. 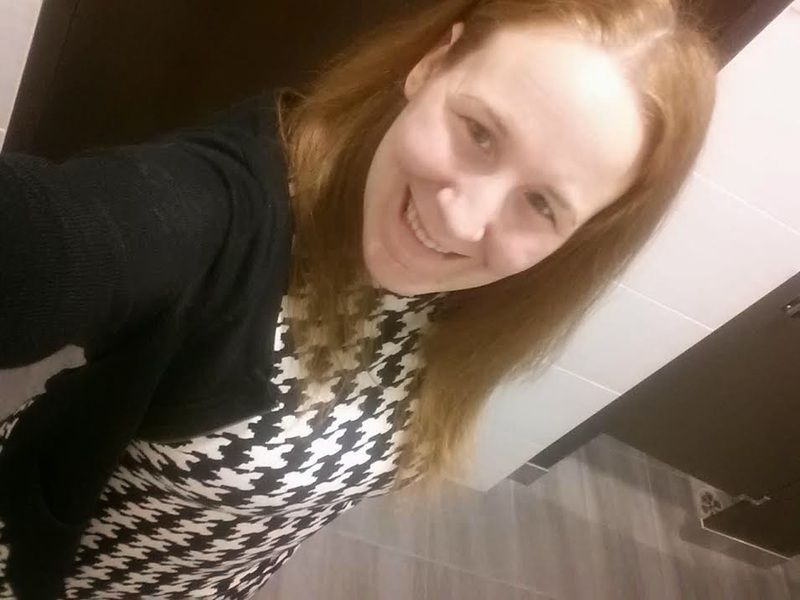 I know it doesn't seem like a big deal or important issue, but I can NEVER take a blazer or cardigan off (even in the winter) because you can see the stains under the arms. Its not fun. So anyways, I picked this up ($25 bucks!!) in the Extra Strong formula and it looks exactly like a bingo dabber. The instructions say to put it on once a day for the first week before you go to bed (NOT in the morning) and then taper off to once every 2-3 days. Now does it work? I don't know. I have used it now for 3 days and so far I think there has been an improvement, but I am not totally dry. I dont notice a smell at all though, and they say to give it a week to fully work. So I will keep you all updated. In the meantime, I ask you all this. Do you share this struggle? Have you guys found something that works for you? I keep hearing the term LIFE CHANGING in regards to Certain Dri. Have YOU ever tried Certain Dri or Drysol? What are your experiences with it? I'd really love the feedback!